In the past, rough terrain was one of the biggest obstacles for oil and gas companies that needed an area surveyed. This issue would come up frequently, as pipelines often covered long distances and crossed over remote and difficult terrain. Because of this, waiting for land surveyors to gather data for the entire proposed pipeline route was often one of the most time-consuming and frustrating aspects of the entire project. Fortunately, things have changed in recent years: new technologies have been developed that allow land surveys to be completed quickly, even when the survey involves gathering data from locations that are difficult to reach. 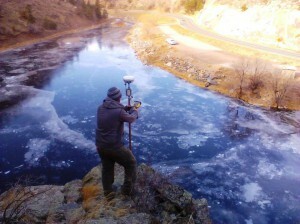 In addition to speeding up pipeline development projects significantly, these new technologies can also save money for oil and companies by cutting down on the total number of hours that land surveyors need to work, and also contribute to a safer pipeline development project, by removing the need for land surveyors to put themselves in harm’s way by crossing difficult terrain. As is the case with most new technologies, the land surveying technologies in question are only beneficial to those who take the time to learn what they’re all about and how they’re used. In this post, we’ll cover a couple of the land surveying technologies that are completely revolutionizing pipeline development, and help you get a jump start on making the most of them. Unmanned aerial vehicles, also known as drones, can offer a number of clear benefits when it comes to collecting land surveying data in difficult terrain. These UAVs are able to fly over difficult terrain and cover large distances faster than earthbound land surveyors ever could. While the idea of using aerial data collection to speed up the land surveying process is certainly not a new one, UAVs represent a completely new take on the concept. 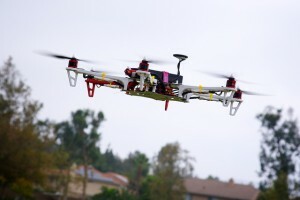 Manned airplanes aren’t able to get as close to the ground as UAVs can, and are also unable to move with the level of pinpoint accuracy and control that UAVs can. Of course, there’s also the fact that putting land surveyors in airplanes can be just as dangerous as asking them to cover difficult terrain on land. The only land surveying method that can promise complete safety is the one that doesn’t require the land surveyors to enter the field in the first place. In addition, today’s high-definition cameras have developed to the point where using them on UAVs is practical. As a result, UAVs are able to quickly relay extremely detailed and accurate images back to surveyors in an office setting, where they can begin to use those images to complete their work. Laser scanning technology, also known as LiDAR, can be used to support terrestrial or aerial data collection by creating extremely detailed scans of the terrain as it actually exists. By using LiDAR, fewer on-the-ground scans are needed, resulting in less time spend trying to traverse difficult terrain. LiDAR works by setting up a scanner that bounces thousands of laser points off of a particular building or terrain. The scanner then measures the flight path of those laser points as they return, and combines those points into a data cloud that can used to create a detailed representation of the thing that’s being scanned. This technology can be used to create scans that are accurate to within four millimeters, a level of accuracy that traditional land surveying technologies simply can’t match. At Landpoint, we have a team of experienced professional land surveyors that can help you put these new technologies to work on your pipeline development project. Look over some examples of our recent pipeline development projects to learn more, or contact us today to get started. As you may already know, an easement refers to the right granted to a person or entity to use a piece of land for a particular purpose. It’s very important that oil and gas companies understand the easement situation in an area when planning projects, as failing to do so could result in higher costs and legal trouble down the line. In this post, we’ll give a brief overview of some of the things every oil and gas company should know about easements; however, working with an experienced oil and gas surveying provider is the best way to truly understand the issue and avoid problems. Are there any existing easements on a particular piece of land? If you’re considering a piece of land for an oil and gas project, an existing easement from another organization would legally prevent you from developing it or taking out an easement of your own. Of course, the only way to find out for sure what existing easements there are in an area is to conduct a thorough review of the land records for the area. An oil and gas surveying provider can help with this investigation, thereby limiting the chance that you’ll end up with an unpleasant surprise later on, when your project is already in progress. Is the piece of land that’s being considered for an easement in danger of experiencing significant erosion? Over time, land erosion has the ability to significantly alter the features of a terrain. In the case of an easement, this fact matters because it could result in a company being unable to access their easement, or unable to use it for its stated purpose. When this happens, all of the hard work put into gaining the easement ends up being for nothing. A land surveyor can help you study the possible effects of erosion on a particular piece of land, so that you’ll have a better idea of how that land will function as an easement over time. By taking into account all possible outcomes related to erosion, the surveyor can help you come up with contingency plans, or seek out a new piece of land that might be less sensitive to the effects of erosion. What type of easement is your company getting? Legally, land easements are divided into two different types: easements appurtenant and easements in gross. An easement appurtenant is an easement that is tied to the land itself; if the ownership of the land where the easement lies or the land served by the easement ever changes hands, the easement will change hands accordingly. Also, the owner of an easement appurtenant must own a piece of land that is somehow affected by the easement, which usually means a piece of land that is adjacent to the easement. On the other hand, an easement in gross is owned by an entity that does not need to own land adjacent to the easement. Since this type of easement is not tied to the land, changes in ownership of the land do not affect ownership of the easement. Will you need to change the easement later on? If the scope of a project changes unexpectedly after the project is already in progress, this means that the easement might need to change as well. In cases like this, the land owner might choose to request significantly more money for the expanded easement, knowing that the company has no choices other than to pay the increased rate or abandon all the work they’ve already done on the project. Work with your land surveying firm to anticipate your future needs so that you can get your easement right the first time and not end up paying increased fees in the future. Contact Landpoint today to learn more about what our oil and gas surveying knowledge and experience can do for you. Before you begin your oil and gas project, it’s important that you have a complete and accurate understanding of what you can and can’t do with the particular piece of land in question. The rules and regulations surrounding land use can be very complex and by not fully understanding them you risk major delays on your They can help you take the guesswork out of land use, so that you can be sure your land meets all of the requirements of your project. There are two similar but distinct subjects that professional land surveyors can assist you with: land use planning and site zoning. 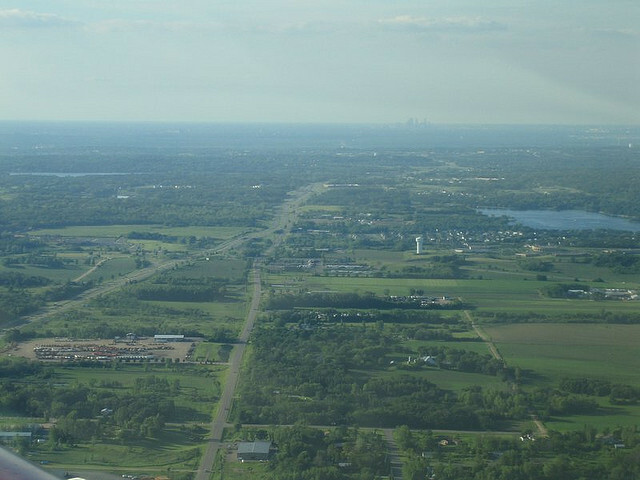 Land use planning is a general term to describe what can be done with a particular piece of land. It is usually framed using open-ended descriptions; for instance, a team of professional land surveyors may help you to determine that a particular piece of land is well suited to become a high-end retail center or a utility site, without going into more detail than that. In other words, a surveyor can help you shape land use policy by providing professional recommendations. If you have questions about the possible land uses of an area you own, working with a land surveyor can help you determine where the boundaries are for the piece of land, while also painting you a picture of what could be accomplished with the land in question. This service is very important, because finding out that a piece of land is ill-suited for a particular project after you’ve already begun to plan the project could be a huge waste of time and resources for your organization. When compared with land use, site zoning is a much more detailed description of how the land will be used. While land use provides a very brief description of what the eventual purpose of the land development might be, site zoning actually provides exact details about things like how many stories will be in each building, how densely the buildings will be situated on the piece of land, and more. While a team of professional land surveyors can be helpful when it comes to preparing a land use survey, they are absolutely essential when it comes to site zoning. That’s because a detailed and accurate site zoning map is required to move forward with getting a zoning permit, which is one of the requirements for being able to proceed with your project. Also, if your project needs to be financed in any way, the lender will most likely ask to see zoning maps before agreeing to provide a loan to your company. As a result, site zoning is something that you simply cannot afford to leave up to chance. Working with a team of experienced land surveyors will help you make sure you get the site zoning maps you need to keep your project moving forward on schedule. They will inspect the land, meet with you to figure out what your requirements are for the project, and then come up with a plan that meets those requirements, while also complying with all applicable laws and land use standards. Finally, after the team delivers the site zoning maps. They will also assist you with getting the site zoning permits approved for your project. Whether you’re just in the conceptual land use phase, or ready to get down to business with a site zoning plan, a professional land surveyor can help you understand what can be done with your land, and then help you turn your project requirements into reality. To get started with your land surveying project, contact the team of professional land surveyors at Landpoint today to get a free land surveying quote. 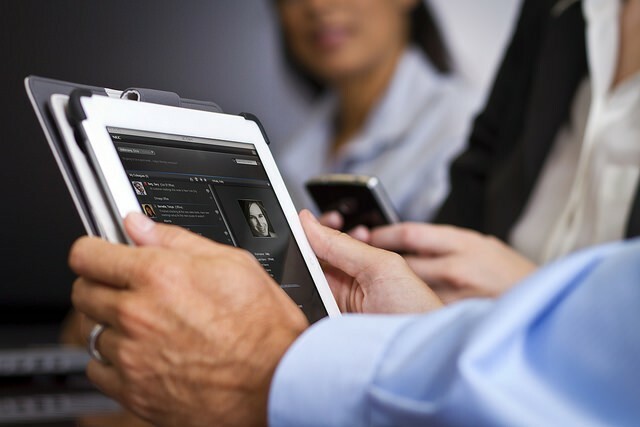 In today’s business environment, many different industries are starting to see the advantages of keeping employees connected to their work and each other with mobile devices. This is especially true in surveying. Allowing field crews to access documents and information from mobile devices allows them to be just as productive on site as they would be at an office. This means that projects can progress more quickly, without the need for long delays caused by employees being offline or needing to travel back and forth between a job site and an office. Traditional surveying handhelds do not offer the variety of applications that are needed in modern surveying. Professional land surveyors, especially those working on oil and gas projects, have a lot more data to collect and process while on site. They also need to be able to review this information, answer emails, and perform any number of other tasks on the fly, which is something that is simply not possible with traditional handhelds. Fortunately, there is a solution: professional land surveyors can utilize “rugged tablets” for construction, which are designed specifically for use in high-intensity industry settings like an oil and gas job site. These tablets, like the Trimble Yuma 2, are built from the ground up to be tough, effective, and easy to use while on a job site. These tablets are designed with the importance of accurate GPS data squarely in mind. For example, the Trimble Yuma 2 offers 1-2 meter real time Enhanced GPS positional accuracy, allowing users to get extremely detailed and accurate positions while on the job site. The GPS abilities of these tablets are also very convenient and easy to use, as they are built right into the tablet itself. Users don’t need to attach an external antenna in order to get an accurate reading; they have everything they need to do that right in their hands. However, these tablets often provide the flexibility to add an external GPS antenna when needed to achieve maximum accuracy. While consumer tablets have made a lot of advancements over the years, the fact remains that these tablets are simply not designed with durability or ruggedness in mind. As far as the tablet manufacturers are concerned, the most stress that will ever be placed on one of these tablets is being dropped from a few feet. On the other hand, tablets used on oil and gas sites constantly have to deal with dust, water, extreme temperatures, high altitudes, vibrations and shock. A consumer tablet can’t deal with these factors, even if you do slap a hard protective case on them. Surveyors need tablets for construction that are durable by design, and that’s exactly that a rugged tablet is. Most consumer tablets are designed to be used indoors, under optimal conditions. Try using one on a job site, and you’ll have to deal with a glare off the screen that makes it hard to read. Rugged tablets like the Trimble Yuma 2 offer a screen with an outdoor readable display, as well as the flexibility to control the touch screen using fingers, a stylus, or capacitive gloves. This means that surveyors on oil and gas job sites will always be able to read and control the screens on their tablets, no matter what the conditions. To learn more about how Landpoint uses tablets for construction and how these devices can help bring unique benefits to your project, download our oil and gas brochure. GIS technology is critical when mapping well sites for drilling operations. The cost of drilling a dry well can quickly eat into an operation’s budget. However, a professional land surveyor can use GIS mapping to leverage central geological and physical datasets to help analyze, summarize, and make determinations more effective planning. Geologists typically analyze the prospective well drilling area by checking rock and soils types, land terrain, as well as the gravitational and magnetic area fields. Geologists perform seismic surveys and test for hydrocarbons in and around the site. Seismic surveys are not fool proof as they may find what appears to be an excellent reserve trap but which may turn out to be dry when drilled. Dry holes are the lack of charging or breaching of previously charged reservoirs where the hydrocarbons have escaped. Geochemical soil gas surveys used in conjunction with seismic surveys can significantly improve successful hydrocarbon exploration ratios and reduce “dry hole” risk. Once geologists select the prospective well drilling location, surveyors are called to stake the well site. It is the job of professional land surveyors to prepare 2D and 3D mappings. A plat map, stamped and signed by one of the licensed land surveyors, showing the staked well location is required by various states prior to drilling. This provides insurance of the correct location, to the best of the geologist and land surveyor’s knowledge. Erroneous information may result in the drilling company losing the ability to hydraulically fracture all segments of the downhole well lateral, or encounter a dry well. It is not uncommon for a well to be relocated several times on the surface before drilling. Accurate documentation is vital. The drilling site must be prepared and free from hazards. The professional land surveyors should conduct a line location survey in preparation to level the drill site as well as for the excavation of the reserve and settling pits. Access roads and the drill pad must be staked and prepared prior to commencing drilling operations. Drilling risks may be moderate to high depending on the proximity of drilling to existing producing wells. Wildcat or high risk drilling occurs greater than 1.5 miles from the nearest producing oil well or 3 miles from the nearest producing gas well. Conversely, low risk, developmental drilling operations, are within half a mile of oil or within one mile of gas wells already drilled and producing. Geochemistry is not as critical, but is useful in determining where blind compartments of stratigraphic traps lie. Outpost drilling offers moderate risk. Drilling is located within 0.5 – 1.5 miles of the nearest producing oil well or 1-3 miles to the nearest active gas well. Geochemistry is a cost efficient means of locating the extreme limits of newly-discovered fields. When GIS tools are not used during analysis, dry drilling can occur. Dry drilling is loss of circulation and fluid. Although the well is bored, the fluid does not rise to the top. Operation losses may be as little as a broken drill bit or as major as a damaged wellbore, drill string, snapped pipe, or damaged rig. In terms of barrels per day and revenue, a “minor loss” is considered to upto 470 barrels in a 48 hour period. Severe losses exceed 470 barrels or occur when fluid gushes to the surface and is wasted or lost. To learn more about how experienced professional land surveyors can help with oil and gas projects, download our free ebook about modern land surveying technologies.